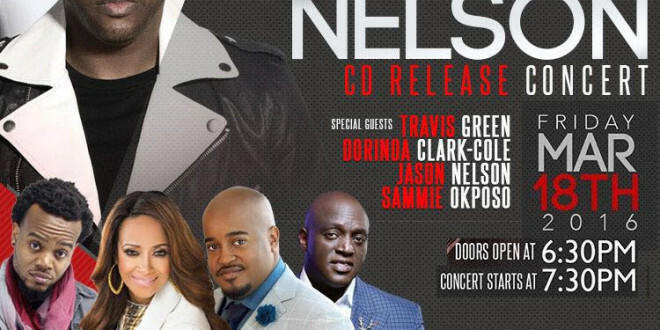 Multiple award winning artiste and Globacom ambassador Sammie Okposo will be sharing stage alongside some of America’s top gospel acts such as Travis Green, Dorinda Clark Cole and Jason Nelson at Jonathan Nelson’s “Fearless” CD release concert today, Friday march 18th, 2016. 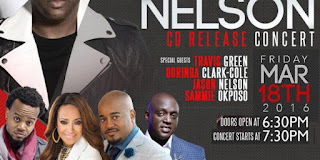 Sammie Okposo is the only African act on the lineup of international Gospel artiste who will be gracing the concert later today. All preparation is in top gear and it promises to be an unforgettable experience. Venue: Empowerment Temple Baltimore Maryland USA.